Napa Valley is known for its well-maintained fields of grapevines, lush hills, mild climate, and of course its world-class wines. About 3 million people visit for vacations in Napa Valley yearly for wine tours, to sample and enjoy its local cuisine, and to enjoy other activities such as outdoor sports, festivals, as well as its rich arts and culture. However, Napa Valley is also notorious for being expensive. Wineries, hotels and restaurants often have skyrocketing rates. A day in Napa could set you back about $230! But despite that, it is not impossible to enjoy a holiday in Napa Valley on the (relative) cheap, but you do have to be resourceful, wise, patient, and diligent. Yes, it can take some work, but if you take the time, you may be able to score great deals like discounts, coupons, and budget-friendly tour packages. One of the challenging things to do in Napa Valley is to find a place to stay. The average cost for a hotel in Napa is about $175 per night, those with the most basic options will set you back $99 (before taxes). That’s a lot for a solo traveler or even for a vacationing pair! However, if you are diligent enough, you can find a cheaper stay, especially in downtown Napa. If you want to cut back on accommodation costs, the best option is to use Couchsurfing, a website which helps you get in touch with Napa locals who offer you a room for free or for a fraction of a cost of most hotels in the region. Couchsurfing is recommended especially for solo travelers who are looking for a relatively cheap and decent place to stay. Airbnb is also a popular option, especially for budget travelers. Luckily, you can find Napa listings on Airbnb. And if you’re lucky, you can find a decent private room for as low as $65. Restaurants in Napa Valley, like the wineries, are not easy on the wallet! Of course, there are ways to survive in Napa while having a decent and filling meal. For one, check out the Oxbow Public Market where you can buy relatively affordable artisanal goodies. It also features eateries where you can score delicious meals on a budget. For instance, Gott’s Roadside serves yummy burgers for only about $8, while Ad Hoc Addendum (by Michelin-starred chef Thomas Keller) serves up food truck-style fried chicken, plus sides, for only $15. Or buy produce from several markets in the region and cook your own food. Now, the wine visits — rates of the tasting rooms can go really up especially during peak season. Many wineries could set you back $50 per head. But don’t worry, you still can score relatively cheap wine tours if you are being resourceful. You can even enjoy wine visits for just $15 or even $10 per head, or score two tastings for the price of one! Visit the Napa Valley Welcome Center — it is not exactly a tourist attraction, but it is a good first stop when you land in the region and where you can score unbelievable discounts. Purchase a $30 wine tasting card from the center (or the Napa Tourist Information Center) and enjoy tastings at up to twelve different tasting rooms. The card is good for a year, so it will enable you to come back to Napa for cheap wine tastings. Going to the Napa Valley during the off-peak season is also a good bet. During wintertime, hotels bring down their rates by as much as 40%. In addition, crowds are almost non-existent, and you won’t be faced with packed restaurants and tasting rooms. 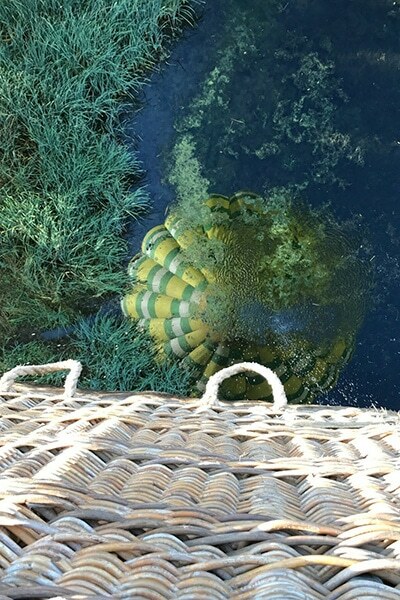 A hot-air balloon ride will surely be one of the highlights of your Napa holiday. Enjoy uninterrupted views of well-manicured rows of grapevines, the rolling hills and the majestic mountains that flank Napa’s famous deep valleys. While a hot air balloon adventure is considered as a luxury itself, you can score that while on a budget by looking at it as part of a wine tour package. Check out hot air balloon operators in the region that offer rides and wine tours in one package, or the hot air balloon adventure ride alone. Balloons Above the Valley (BATV) has packages that combine the best of wine tours and the fun and excitement of hot air balloon rides without making a dent in your pocket. 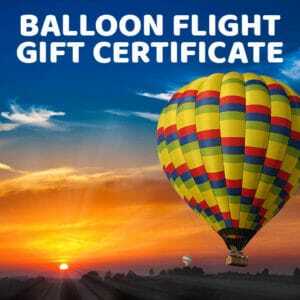 BATV’s basic package is the Sunrise Balloon Flight & Brunch. It also includes a pre-flight breakfast and a post-flight brunch with champagne, in addition to the one-hour balloon ride. If you want to include wine tours, you can also try BATV’s “Sunrise Balloon Flight – Champagne Brunch – Wine Tour” for only $315 per person. Apart from the hot air balloon flight, enjoy visits to select wineries. If you bring someone with you and you’re staying in San Francisco, check out BATV’s “San Francisco Balloon & Wine Tour Package” for $847 per two persons. This two-day package includes free transportation from San Francisco to the Wine Country, visits to two wineries in Napa and two and Sonoma, a buffet-style picnic lunch at one of the wineries, olive oil tasting, a sunrise hot air balloon right, a pre-flight breakfast and post-flight champagne brunch, optional shopping and sightseeing, and a transfer back to San Francisco via a ferry (with free tickets). Vacations in Napa Valley are often seen as something that only the wealthy can afford. But look beyond the image and discover that you can really find lodging, food and wine, and fun things to do in Napa even when you’re traveling there on a budget.